It is the second post about Japanese food. The Japanese food introduced at this site is not like traditional Japanese course dinner, sushi or tempura at restaurant. I will introduce routine and frugality meals that busy modern people can eat at home. So, even if you do not where Japanese restaurant is, you may be able to experience Japanese cuisine in your daily meal without knowledge of Japanese cooking. It is to eat other than Japanese food. Italian, French, Indian, Chinese and so on. Various countries foods are cooked at home in Japan. And the characteristic is that they are placed on a table at the same time. For example, no one cares, although croquette, miso soup and curry on one table. And many people eat them with chopsticks. Moreover, people often arrange foreign meals to Japanese style. Tonkatsu, tempura and ramen are known as Japanese cuisine also popular among foreigners, but the original is not Japanese cuisine. It is difficult to define Japanese cuisine because Japanese food also refer the ideas from foreign cuisine. 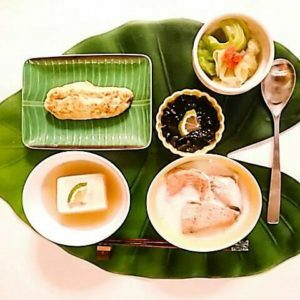 The characteristics of the Japanese food when registered as UNESCO intangible cultural heritage were the following four. Having close relationship with annual events. In addition to this, ‘Umami will be regarded as important’. People care that the dish has “Umami”, whether it is a Japanese cuisine or a foreign cuisine. Soup stocks influence Umami. 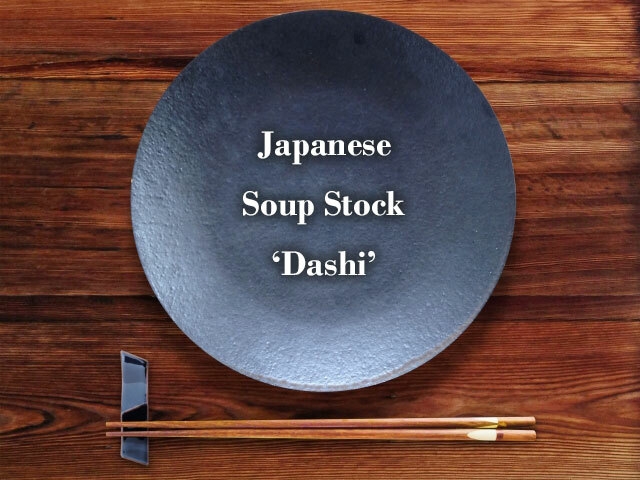 Soup stock is called ‘Dashi’ in Japanese language and indispensable for Japanese cooking. And people often transform foreign cuisine to Japanese style using the ‘Dashi’. I introduce traditional and popular Japanese soup stock. It must be the most popular soup stock. It is made from dried bonito which is the hardest food in the world. When it is cooked, dried bonito is shaved like paper. It is made from dried kelp (seaweed). It is as popular as ‘Katsuo – Dashi’. ‘Konbu – Dashi’ is easy to use except Japanese cuisine, too. Added it with your pasta sauce or stew and so on. The taste becomes deep. It is made from small dried fish. It is made from flying fish. Extracts after returning dry shiitake with water can be used for cooking. It has a distinctive flavor than the above ‘Dashi’s. When cooking vegetables soup using the ‘Dashi’, Japanese dish is completed. When the taste is weak, add salt. If you can get soy sauce or miso, using them. It will be closer to Japanese dish more. The combination is free. Use them according to your taste. The point is that vegetable soup is good for animal food such as meat or fish. For vegetables, animal-type soup stock such as ‘Katsuo – Dashi’ is better. In my case, when cooking miso soup, following combination. It is just my preference. And it is also possible to mix several kinds of soup stock. Boiled tofu by dried shiitake soup stock. Salmon milk soup based on Konbu-Dashi. Omelette used Katsuo-Dashi and soy sauce. Traditionaly, milk isn’t used for Japanese meal. However, it become familiar taste by Konbu- Dashi. Originally, cooking ‘Dashi’ needs preparation. It takes time and effort. It is difficult for people who do not have enough time to cook every day. But don’t worry! Granule type soup stocks are sold into small packed. You can use this (the dried shiitake photograph is not a granule type). Certainly the method is lazy way. 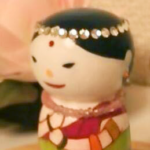 It is not a fine Dashi like fine restaurants. However, it is not needed to have stressed with everyday meals cooking. If you trip to Japan, the Dashi pack may be a good souvenir. It is sold at supermarkets and convenience stores, and it light and possible to storage long time. You can distribute one pack, if you have friends who interested in Japanese food. It is a good size to try Japanese cooking once. 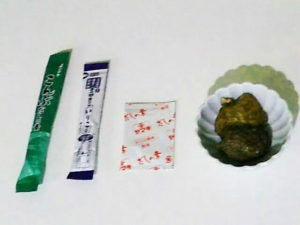 (from the left) Katsuo-Dashi, Konbu-Dashi, Iriko-Dashi, Ago-Dashi. Use with 500 cc of hot water per pack.